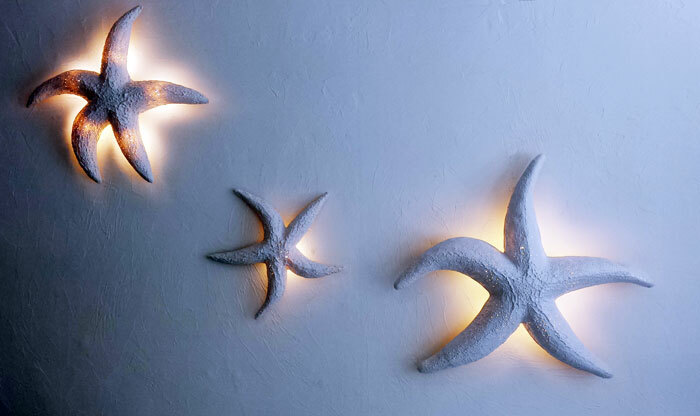 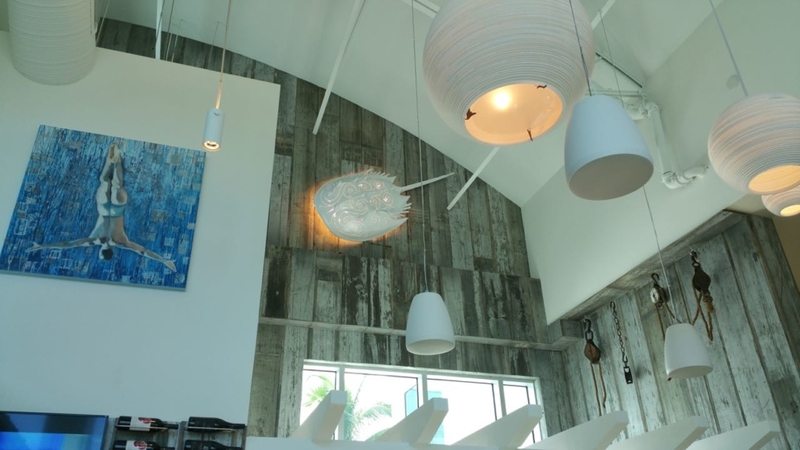 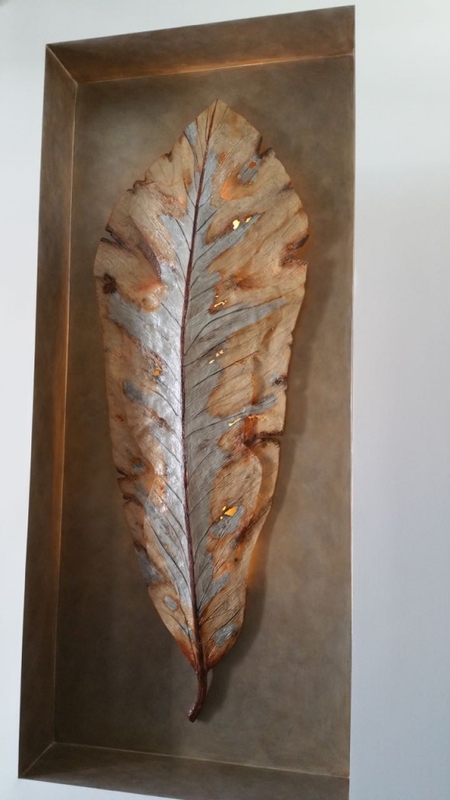 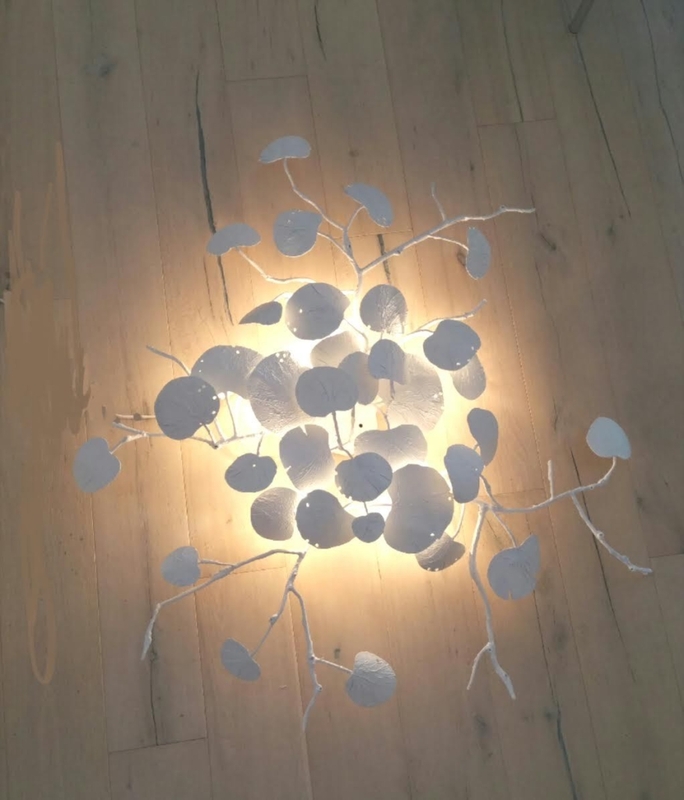 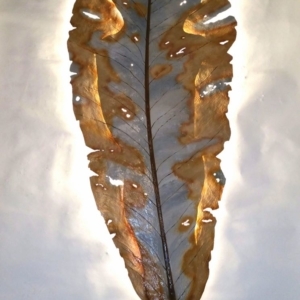 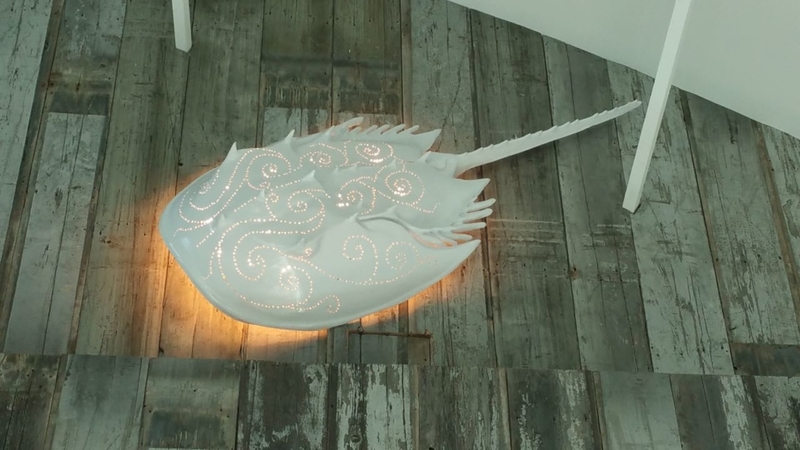 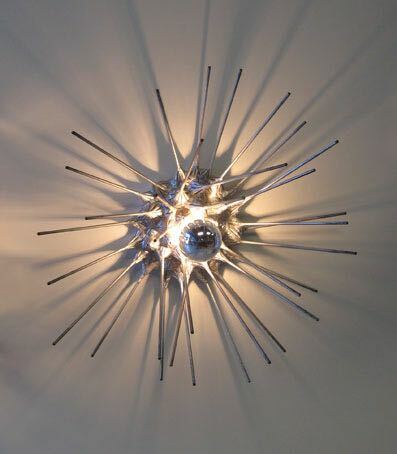 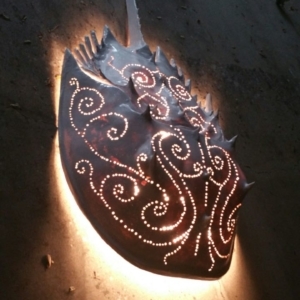 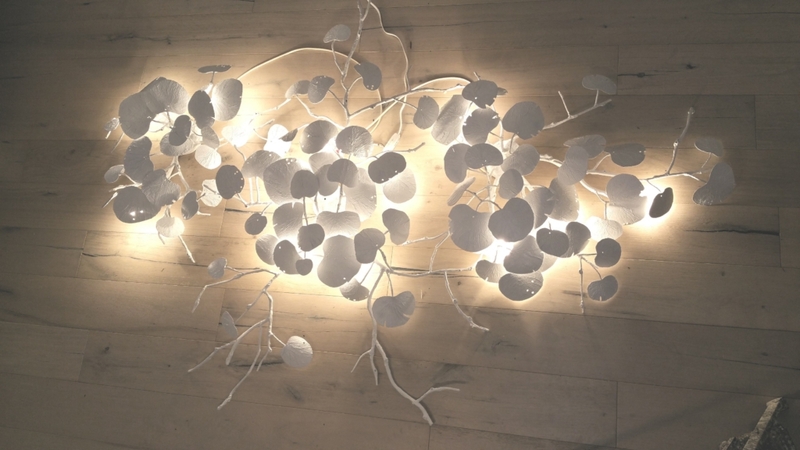 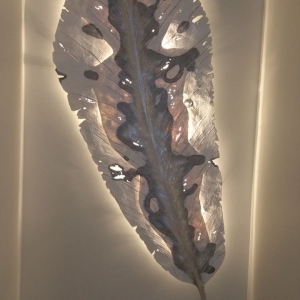 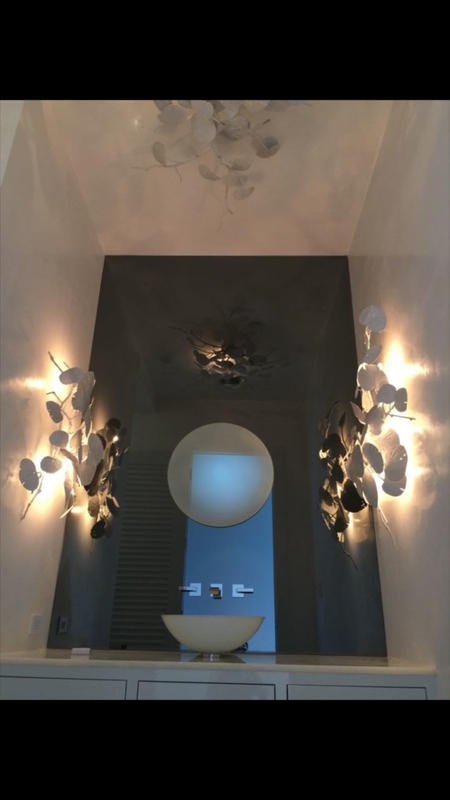 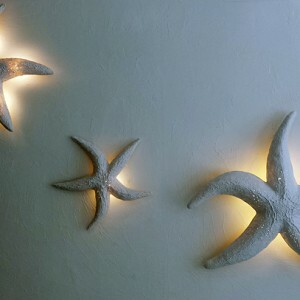 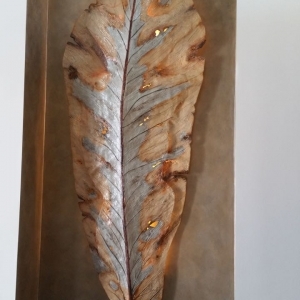 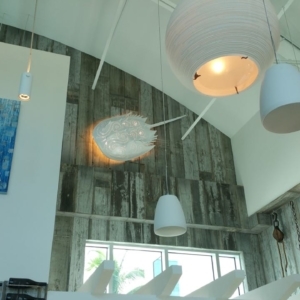 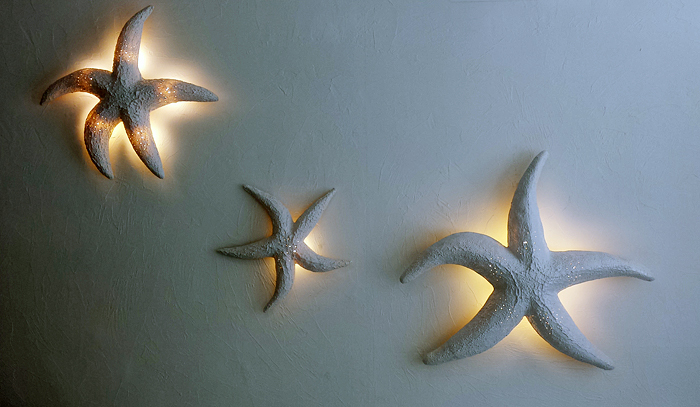 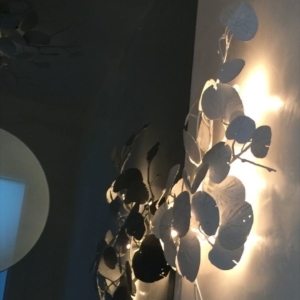 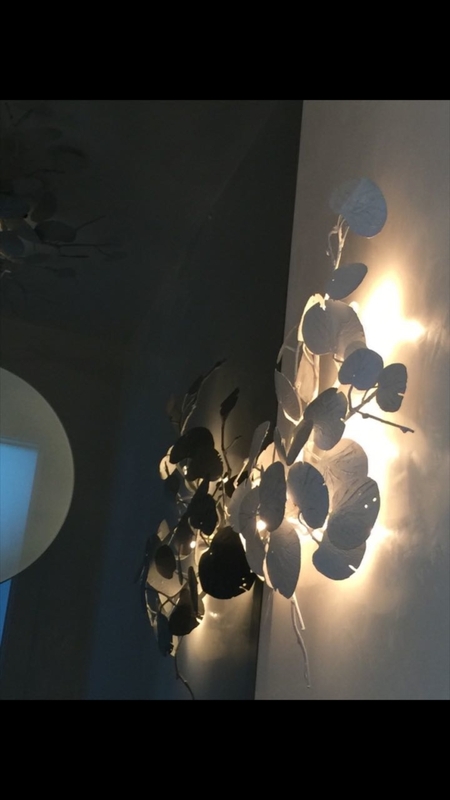 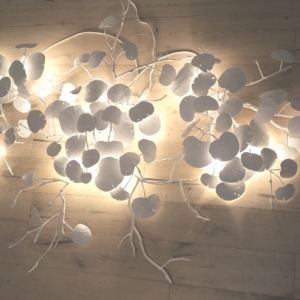 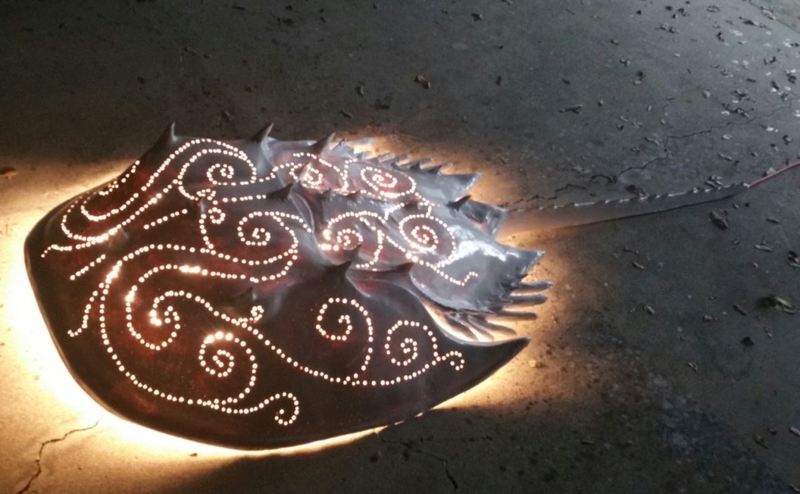 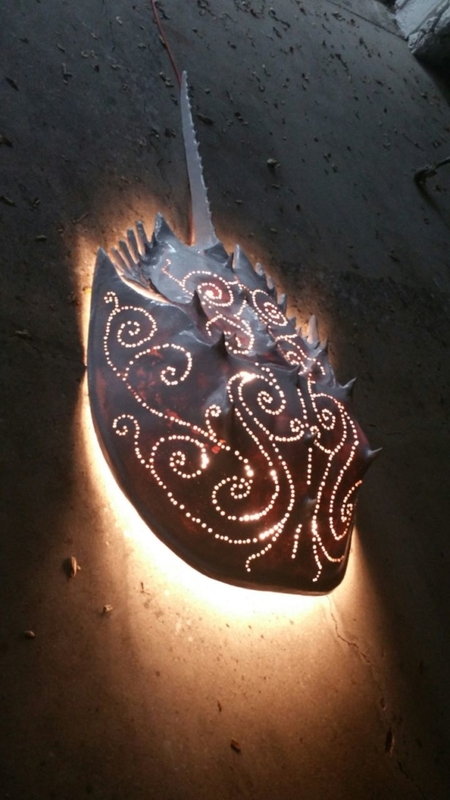 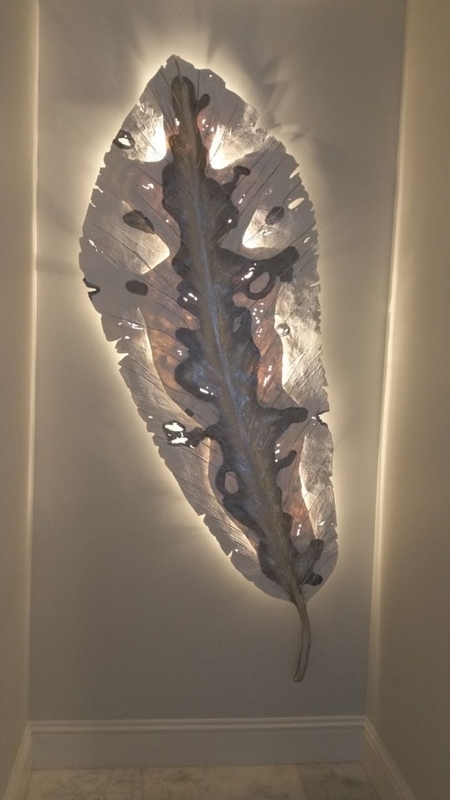 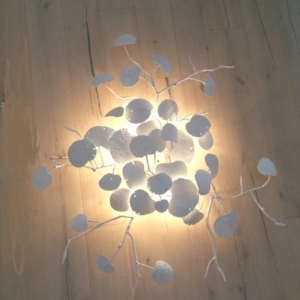 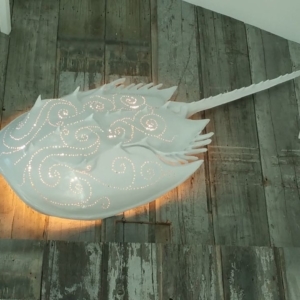 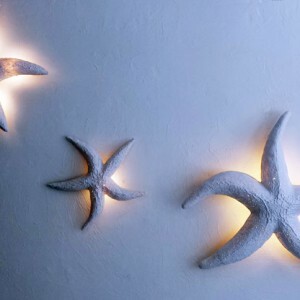 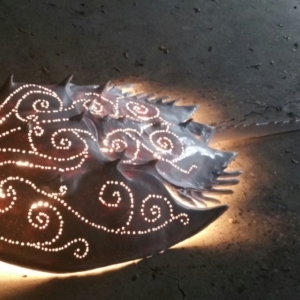 Wall sconces are hand made of steel and epoxies and come crated with LED bulbs. 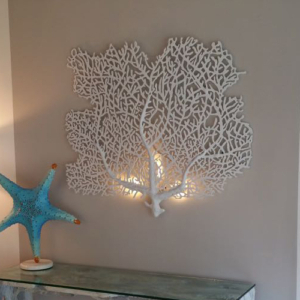 Everything is custom sized to the customer’s request. 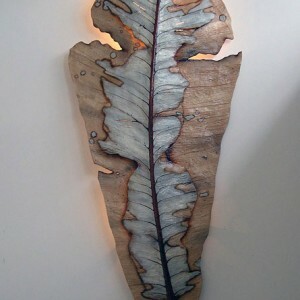 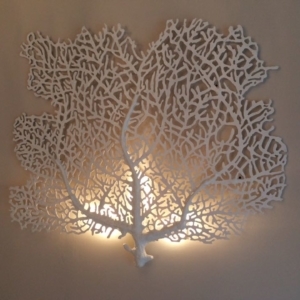 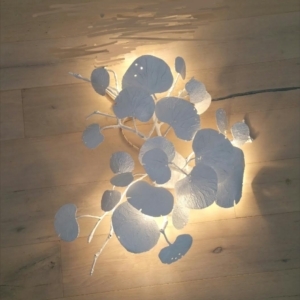 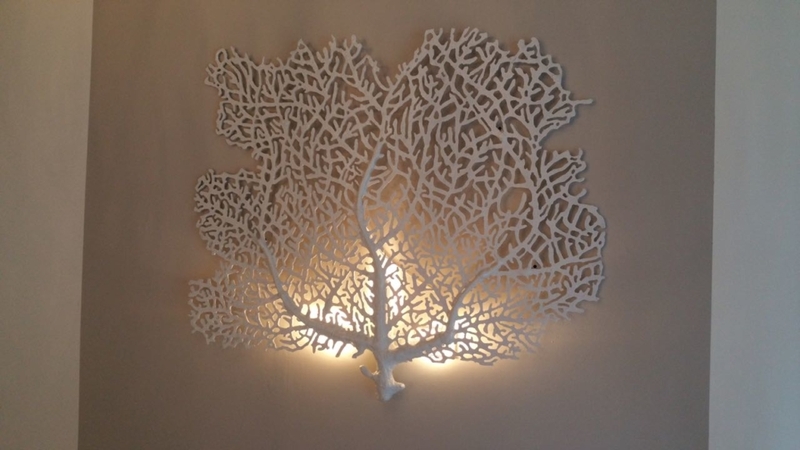 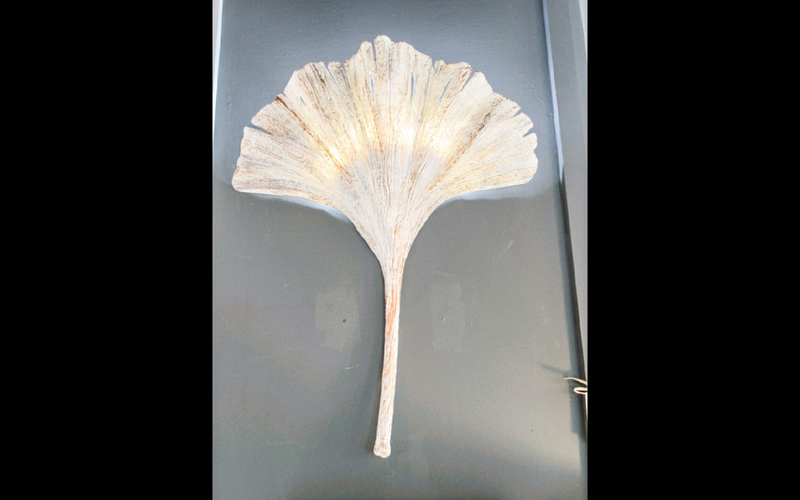 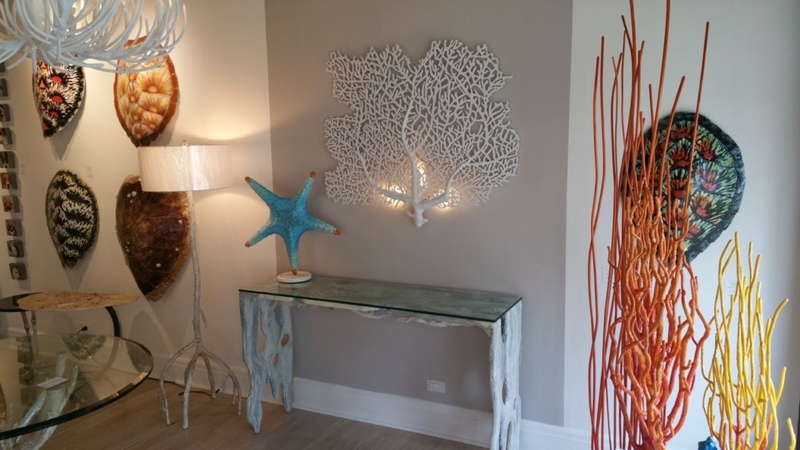 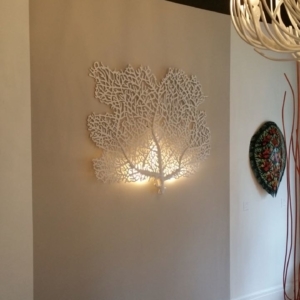 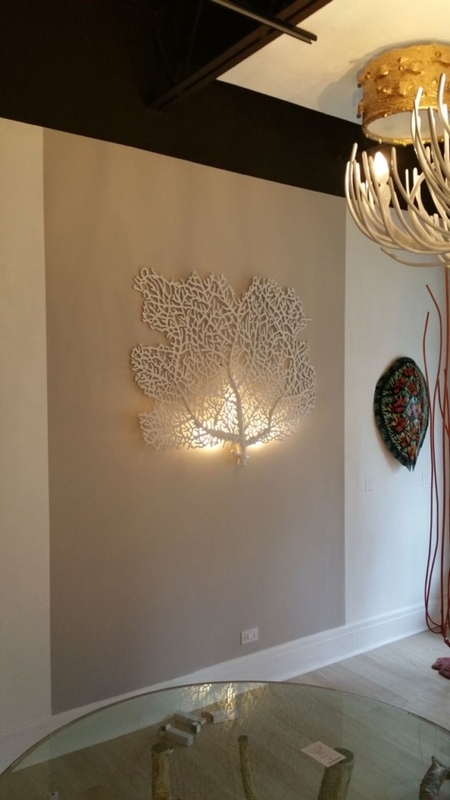 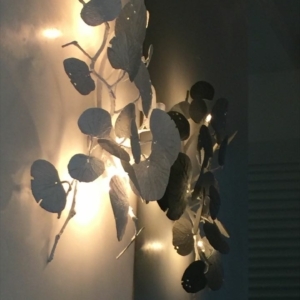 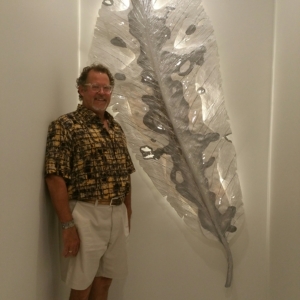 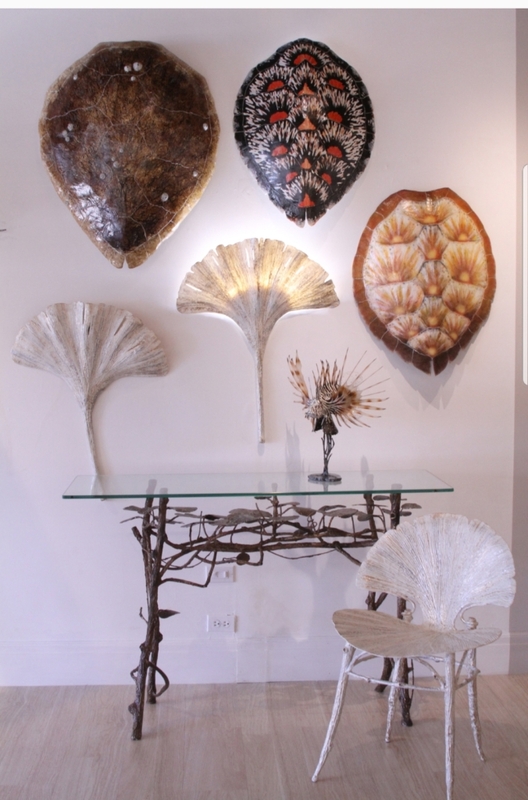 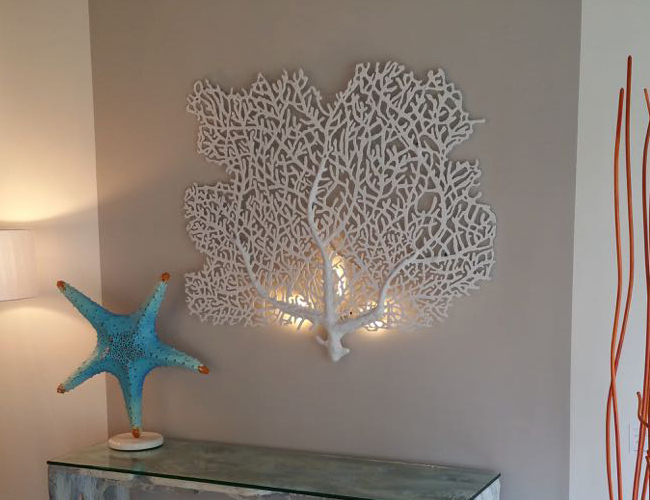 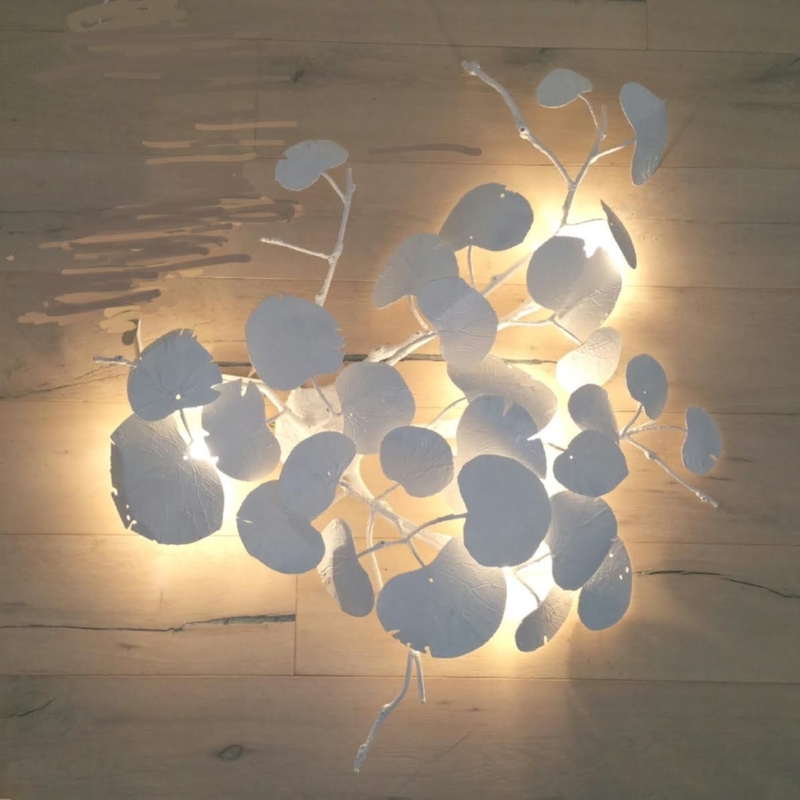 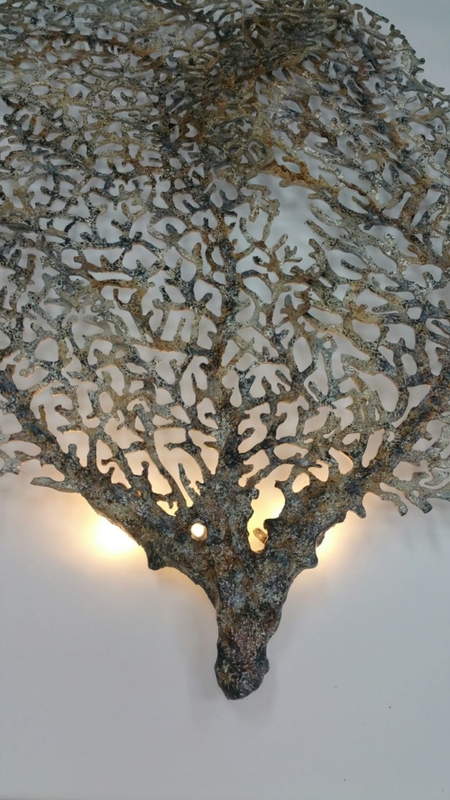 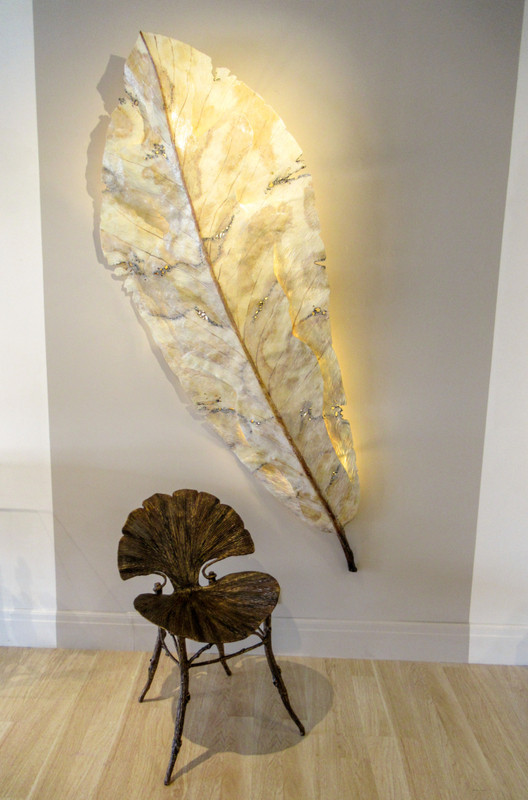 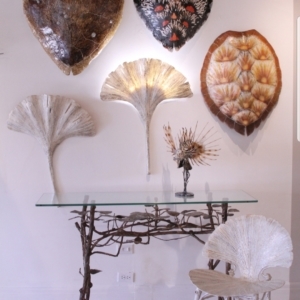 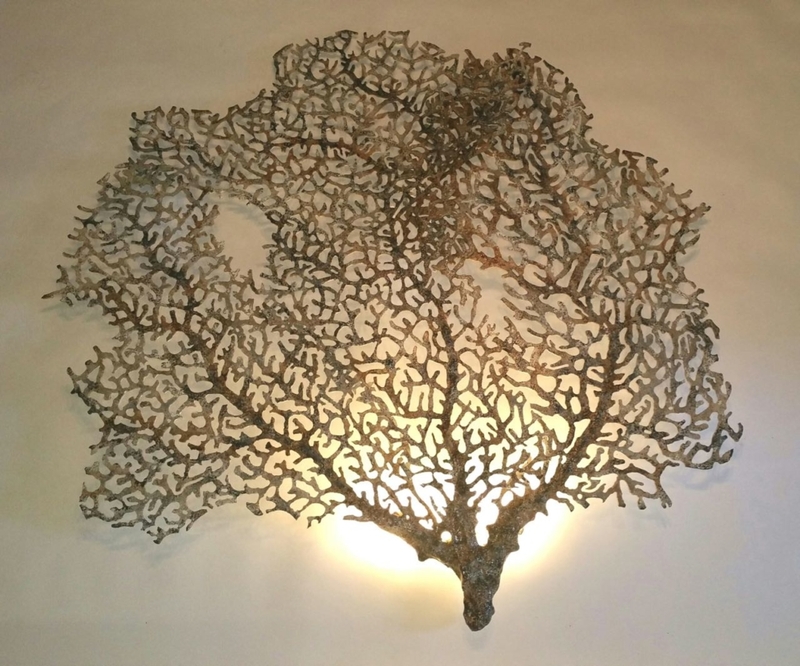 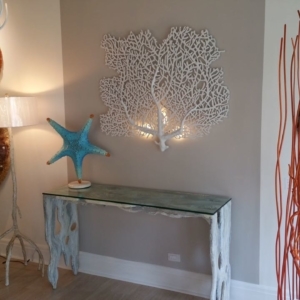 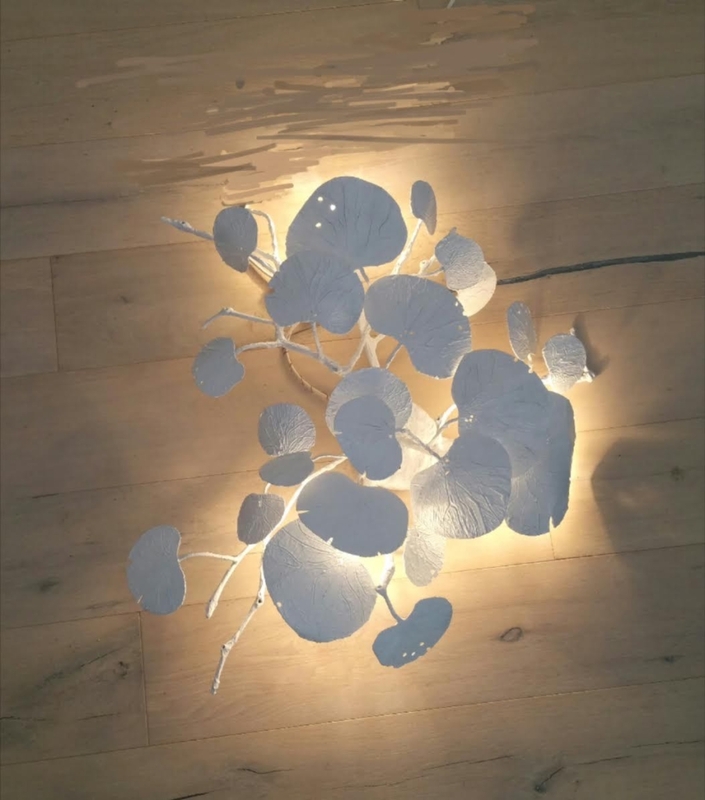 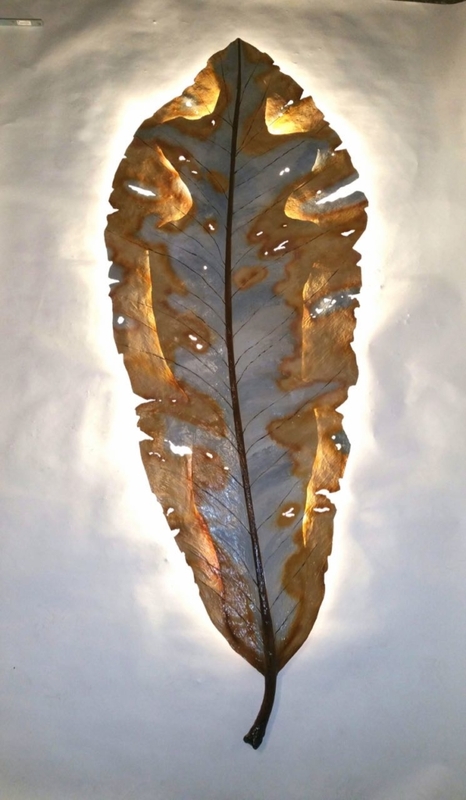 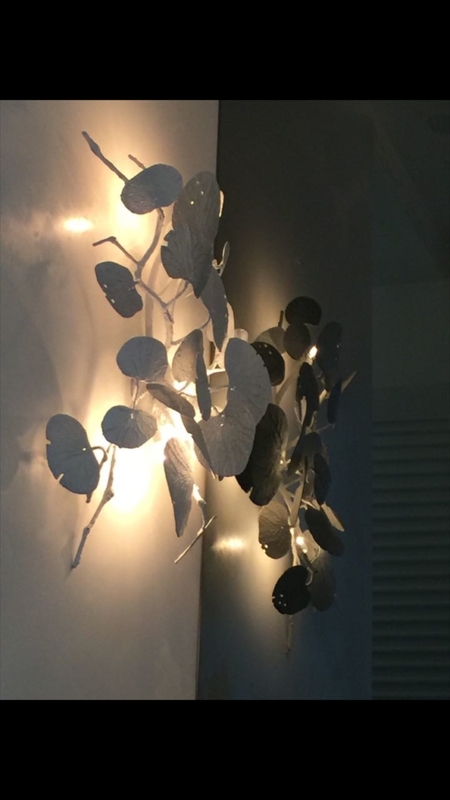 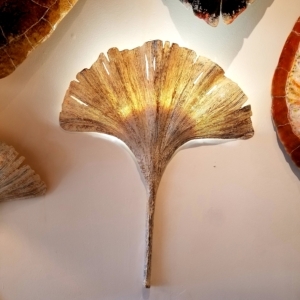 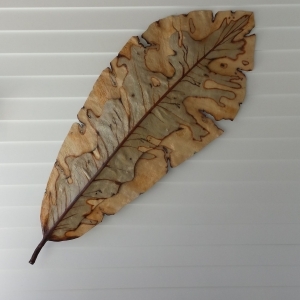 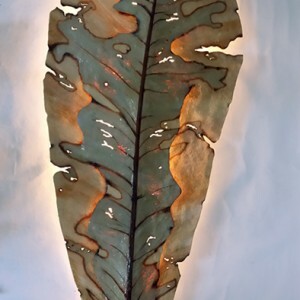 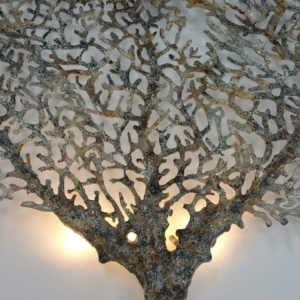 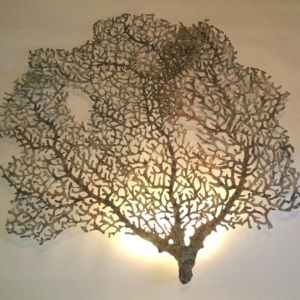 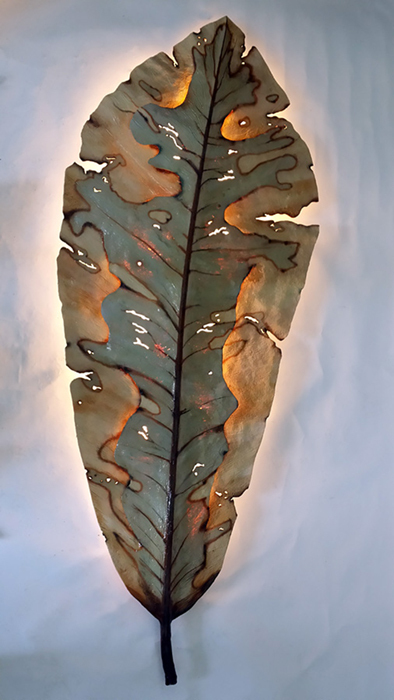 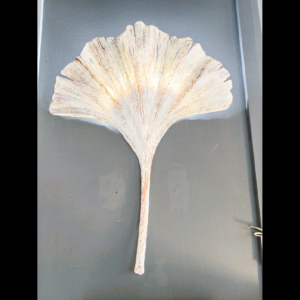 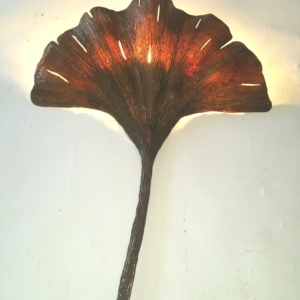 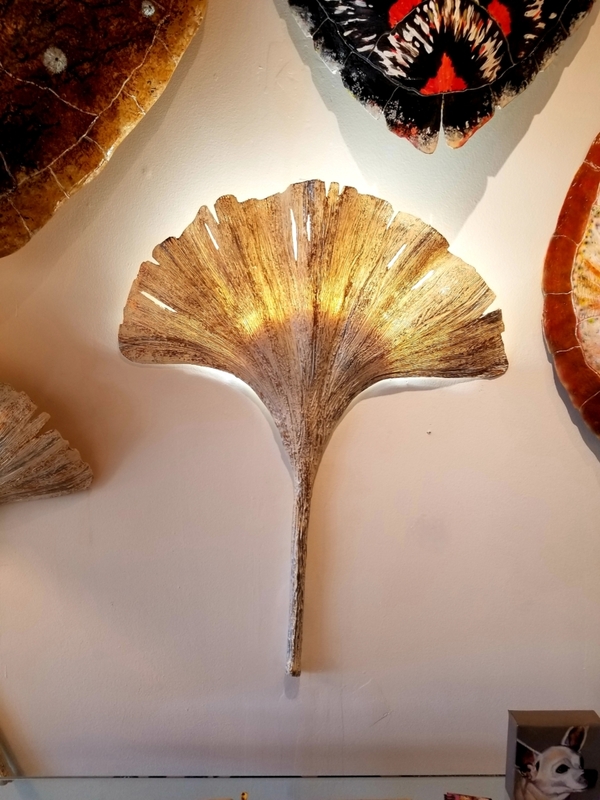 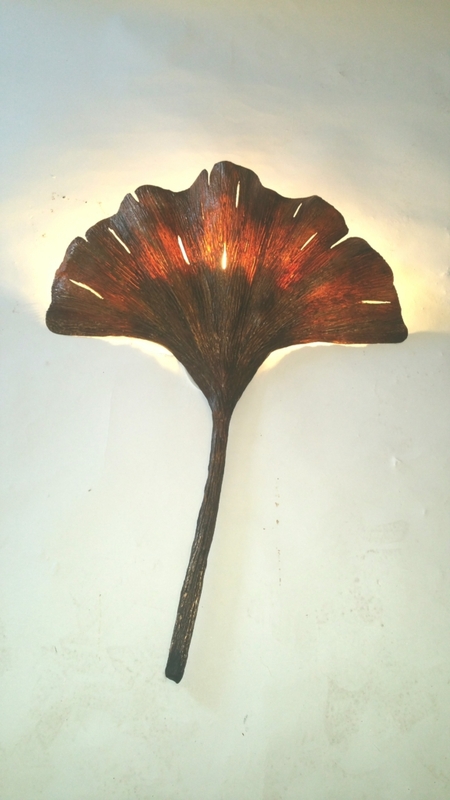 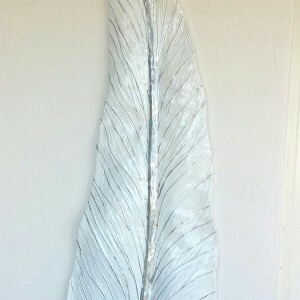 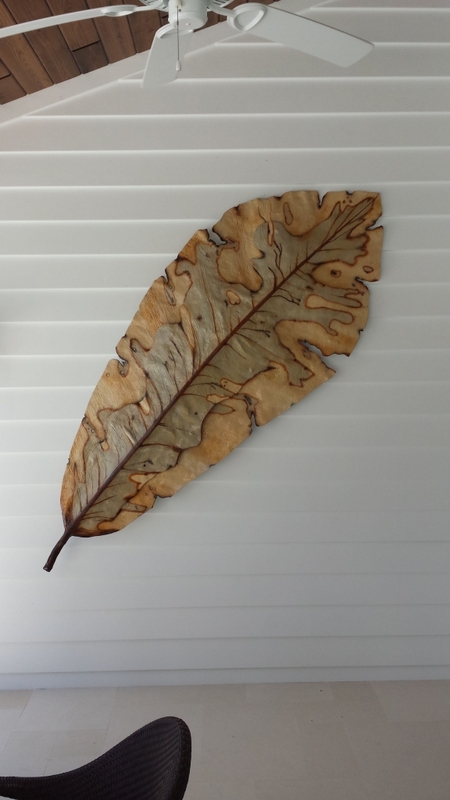 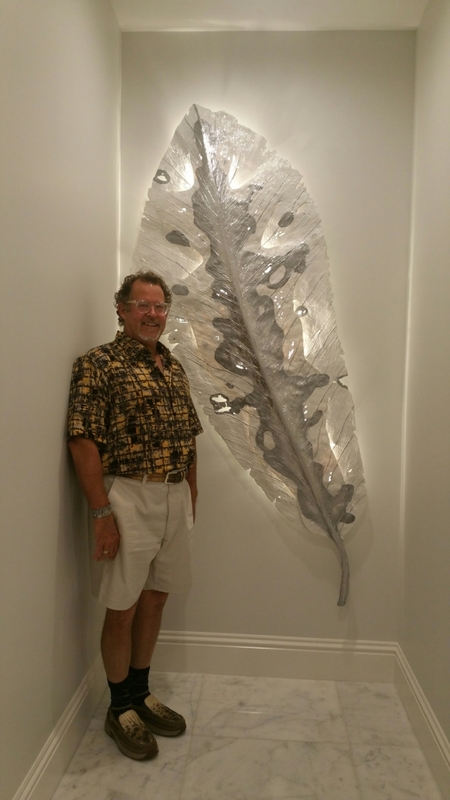 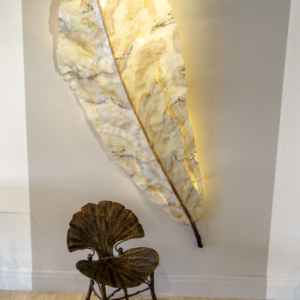 Wall sconces, coral sconces and 7 foot leaf sconces and more. 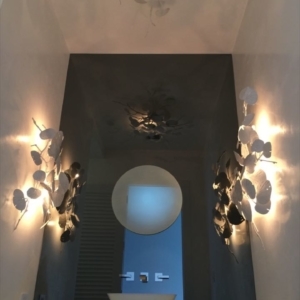 Sconces run vertical or horizontal all have dimmable LED lighting, also all kinds of colors available.